The name Norway comes from the old Norse words, “nordr” and “vegr.” The words mean, “way to the north” or “northern way;” because of its very northern location. In fact, it is the most northern country in all of Europe. Today, the Norwegians have two official names, “Noreg” in Nynorsk and “Norge” in Bokmål. Norge is used most often. Norway is a Scandinavian country and shares a long, land border which includes the Scandinavian mountains with Sweden. It also has a border with Finland and Russia, to the north. The Skagarrak Strait, lies between them and Denmark is to the south. Norway has an extensive coastline on the west, along the North Atlantic Ocean and the Barents Sea. 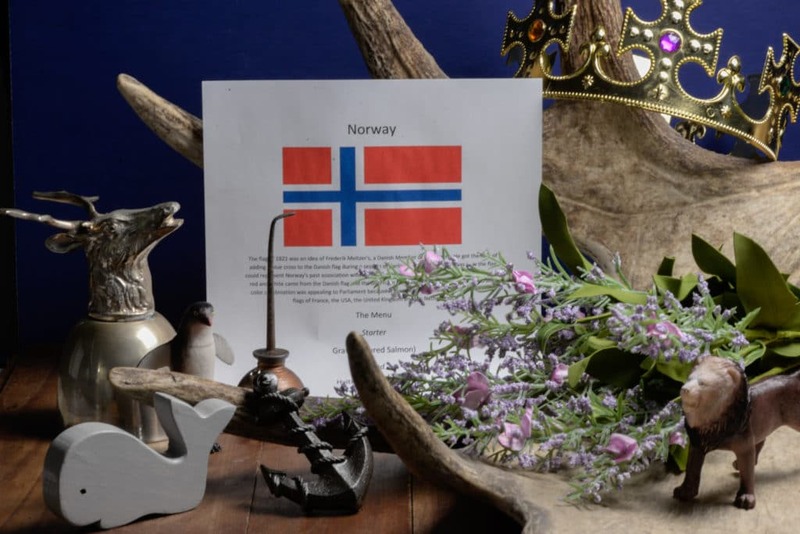 Norway is run as a constitutional monarchy. The current King is Harald V. Norway was ruled by Denmark for some 400 years and was also part of Sweden. They have, in essence, two independence days; one, when they gained independence from Denmark, in 1814 (however it was for a very brief period of time) then, they were given to Sweden by the victors of the Napoleonic war and finally regained their independence on June 7th, 1905. During World War II, Norway was invaded and occupied by Germany. Norway was one of the signers of the North Atlantic Treaty in 1949 and was a founding member of the United Nations. The first UN General Secretary, Trygve Lie, was a Norwegian. Norway is not part of the European Union, although it has been voted on a few times. Their currency is called the Norwegian kroner. Most of Norway’s population are Norwegians; a Germanic ethnic group, plus Sami, which makes up 94 percent of the population. The rest are immigrants from other countries. especially European. Oslo is the capital city, known for its beautiful green areas. It is the most populous city in Norway. It was founded back in 1040 as a trading place. It is usually rated as one of the best places to live, in terms of quality of life, despite the high cost of living. The official languages are Bokmal and Nynorsk Norwegian, but Sami, and Kven are also spoken. English is taught as a second language. The religion of Norway is mostly the Evangelical Lutheran Church of Norway with nearly 80 percent of the population making it their affiliation. However, only about ten percent attend services on a regular basis. The rest are a mix of religions, with Catholicism being second. Norway is one of the few countries in the world with fjords – long narrow inlets in the coastline, with deep sides or cliffs, formed by glaciers, millions of years ago. In fact, two of them are UNESCO natural world heritage sites; the spectacular West Norwegian Fjords, Geirangerfjord and Nærøyfjord. Norway’s coastline is estimated to be 18,000 miles when you count the 1,190 fjords or 1600 miles if you don’t. The Vikings (who ruled the country during the Viking Age between 800 and 1066 AD) built boats to navigate these unique inlets. Almost all of Norway is high ground. They have a wonderful road system and have the longest tunnel in the world, the Lærdal Tunnel, which is 15.2 miles long. There are many beautiful bridges over deep fjords, as well as a major ferry service and numerous tunnels under the mountains. Two-thirds of the country is tundra, rock or snowfields, and one-quarter is forested, as a result, good agricultural land is hard to come by. Less than three percent of Norway is cultivated, and those areas are in the southeast and in the river valleys. The mountains of Norway are rich in minerals and they have large offshore reserves of petroleum and natural gas. Norway ranks 15th in the world in oil production and is the greatest reason for the countries enormous wealth. They have the largest sovereign wealth fund in the world, worth just shy of one trillion dollars. The lower price of fuel of late, has been a burden on their economy, and they made their first ever withdrawal from the wealth fund in 2016. Although Norway is far north, the climate is not as cold as one might expect. The North Atlantic Drift brings warm, damp, air to the whole country. It is generally cooler inland and to the north, where winters are long and accompanied with much snow. From late May to late July, the sun never completely dips beneath the horizon in areas north of the Arctic Circle. This is how Norway got its nickname, “The Land of the Midnight Sun.” The rest of the country experiences up to 20 hours of daylight per day. It is just the opposite in winter, when from late November to late January, the sun never rises above the horizon in the north, and daylight hours are scarce in the rest of the country. Norway is known as a spectacular place to see the “Aurora Borealis” or, “The Northern Lights.” They say they are most active around the equinox in both fall and spring. Of course, there are never guarantees to witness Mother Nature’s grand creation but your odds are pretty good between the hours of 9:00pm and 1:00am in the far north, when the sky is clear and dark. The north is also home to the indigenous people called the Sami or Lapps. They have lived in the Artic region for thousands of years. About 50,000 to 65,000 call Norway home. There, they keep their unique culture, language and traditions alive, including reindeer husbandry. As we look into the cuisine of Norway, it is largely influenced by its coastal location. Fish is the heart and soul of Norwegian cuisine. They poach it, smoke it, grill it, fry it, salt it, dry cure it and boil it with a huge variety of seafood. Smoked salmon is for what Norway is the most famous. They are the second largest exporter of seafood in the world, after China. They even introduced the Japanese, to salmon that could be eaten raw for sushi and sashimi. 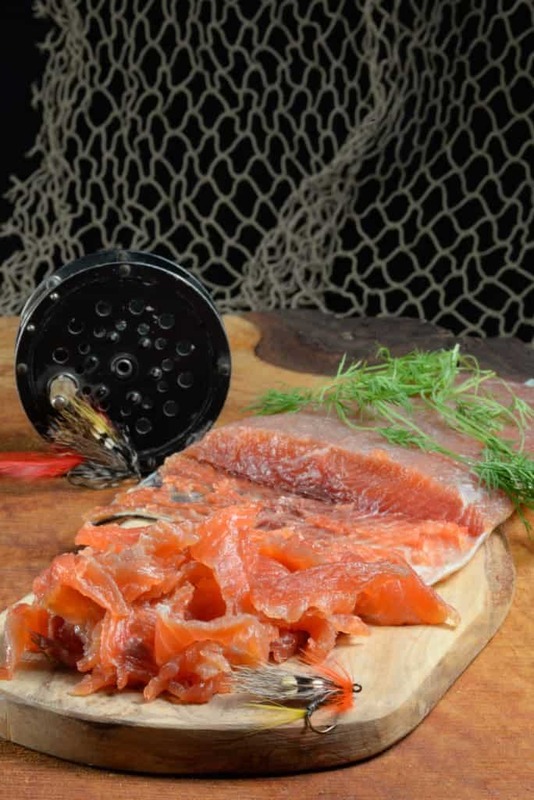 Fish soups, pickled herring and gravlax are all very popular dishes. The Norwegian population is among the healthiest in the world, as diet plays an important role. 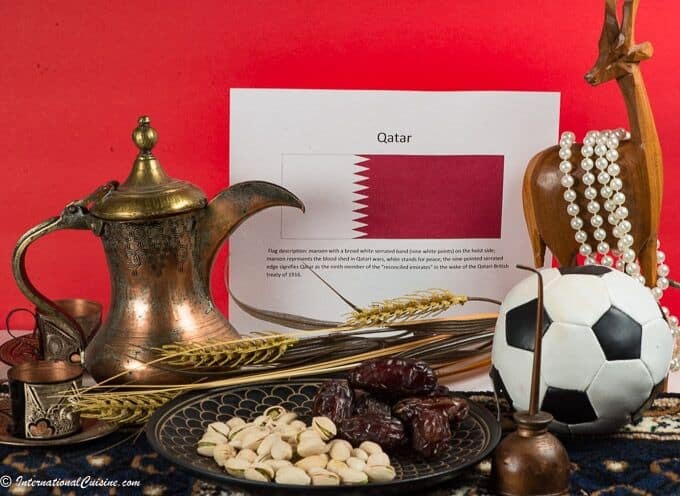 Game meats like reindeer, goose and duck are also loved foods in the country. Norway, despite its riches today, before 1905 had a rather substandard standard of living. They only had a small number of ingredients to work with and porridge was often the only meal available and was eaten two to three times a day. Since there was not much agricultural land, they had a hard time feeding the population. Bread is usually dark and made of rye, as it grows easily in Norway. These breads are often used to make open face sandwiches, called smorebrod. They also have an interesting bread called lefse that is made of potato and is thin like a crepe. This is often sprinkled with cinnamon and sugar and a favorite at Christmas time. Dairy is also very important in Norway and they are huge milk drinkers. The average Norwegian consumes 40 gallons of milk per year. Jalsberg cheese is a big export item for them as well. State controlled, independent dairies, make a myriad of cheeses that are loved around the world. Potatoes are the most popular vegetable and apples, rhubarb and berries are used in all sorts of delicious creations. Dill and caraway, thyme and oregano are the favorite seasonings, as they grow wild. Shredded horseradish is also a staple, as is mustard, especially on salmon. 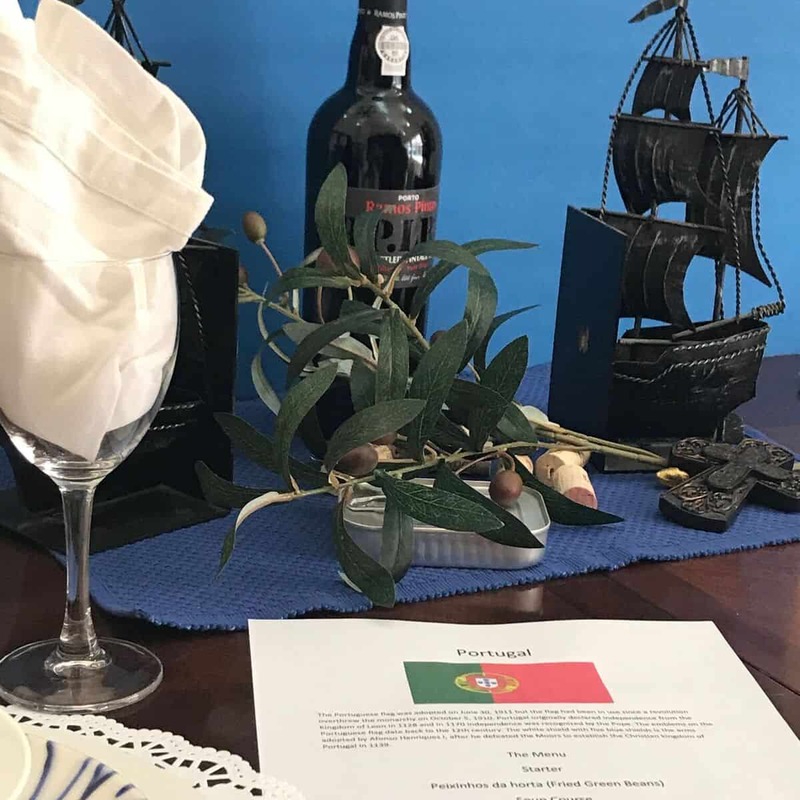 We set the table in blue, red and white; the colors of their flag. We placed elk antlers as the centerpiece, since the elk is a national symbol, (although they call it a moose.) Purple heather was added, as it is the national flower, as well as a whale, home to their seas. A reindeer cup represented the Sami population and reindeer herding, and an anchor, symbolizing their seafaring heritage. A King’s crown and a penguin were also included, as there is a penguin, named Nils Olav III, who is a member of the King’s Guard and the only penguin in the world to be promoted to Brigadier. We began our first course of gravlax; delicious salmon that had been salt and sugar cured in lemon zest and dill for several days. The result was amazing, almost candy like, and was served with a mustard aioli alongside. We enjoyed it with a toast “Skal” pronounced “Skawl” which means “cheers.” We clinked our glasses with shot of Aquavit, a famous exported liquor made from potatoes and flavored with caraway seed or star anise. For the main course, it was a seafood feast called Krabbalag. All the seafood (lobster, crab, shrimp, mussels and clams) were boiled with potatoes and corn and flavored with thyme and dill. Mayonnaise and drawn butter were accompaniments. 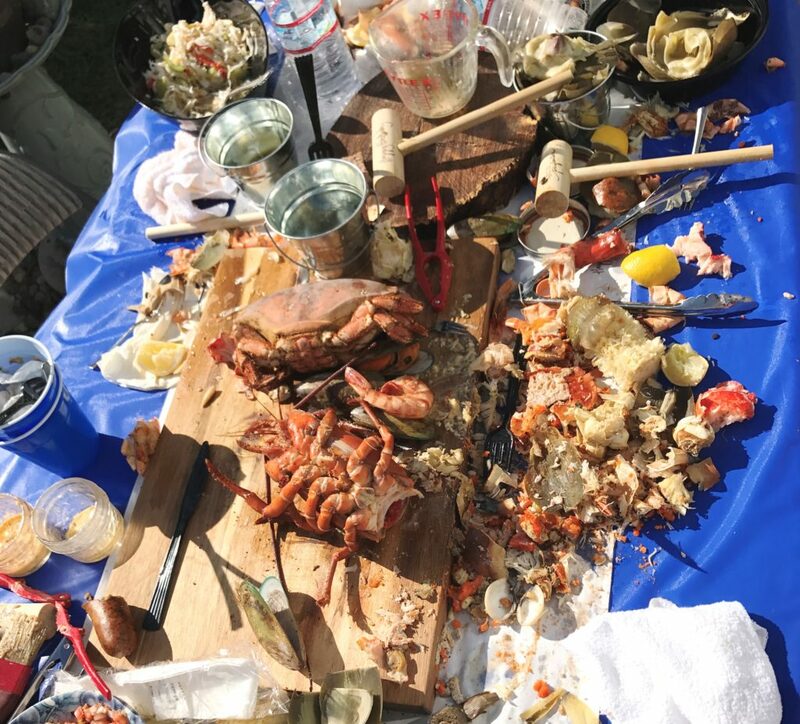 This meal is typically enjoyed in a rustic environment; outside with all the seafood dumped on the table covered with butcher paper, for everyone to grab a piece, crack it and savor. I made this feast for my father’s 90th birthday party, some 40 people and it was loved by all! 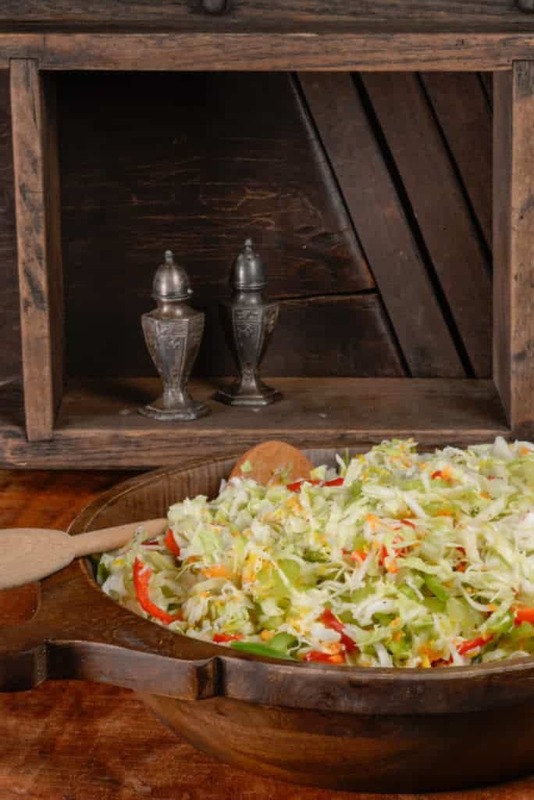 It was served with a coleslaw, made a few days ahead, marinated with sugar and vinegar, imparting it a lovely sweet and sour flavor. For dessert, I just had to make the cake called, “The World’s Best.” In Norwegian, it is called, Kvæfjordkake Verdens beste. It was awesome!!! 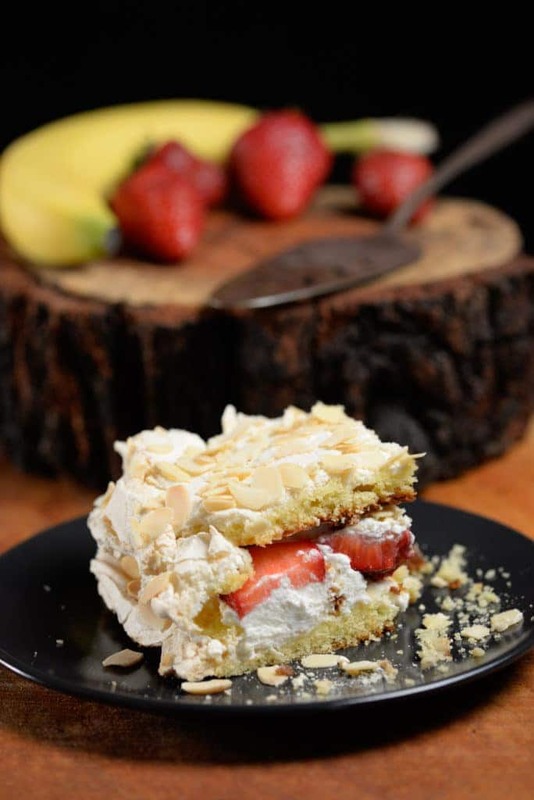 Basically, it is a pound cake covered in meringue, similar to New Zealand’s pavlova. It is then layered with cream and fruit. I used bananas and strawberries, but you can use whatever fruit you like. It was topped with toasted almonds; which, was, literally, the icing on the cake! Best in the world, for sure! If you ask a Norwegian, they will likely tell you they find happiness in the way they help each other. They have each other’s backs, and a true sense of community, which brings comfort and joy to all. Perhaps I should spend some quality time in Norway, to help me truly figure it out!